Catnip can be used for more than entertaining a cat, it can actually be quite useful. Here are 4 surprising uses of catnip. Planting catnip around the house or inside it can be used as an insect repellent. It can even be made into a spray. Various studies have shown that catnip is actually a more effective insect repellent than the commonly used chemical DEET. To make a spray, try stripping the leaves off of a catnip plant and grinding them up. You can use a food processor or a mortar and pestle to do this. Next, let the catnip seep in some boiling hot water and let the mixture cool. Once cooled, you can strain the mixture into a container to get any stray particles out. Once the mixture is complete, it can be poured into a spray bottle and used as insect repellent. Catnip is widely used as a solution for insomnia, and has also been known to treat menstrual cramps, migraines, tension, and anxiety. In the past, it's been used to treat colic in babies, and colds and coughs in adults. 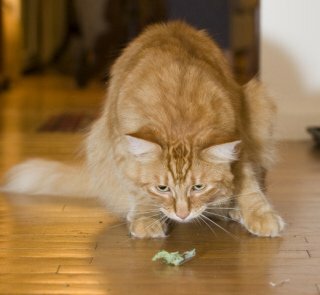 Your cat can have extra fun with catnip with the development of catnip toys. These toys often contain catnip within the stuffing for an exciting toy that produces the traditional "high" that cats love so much. 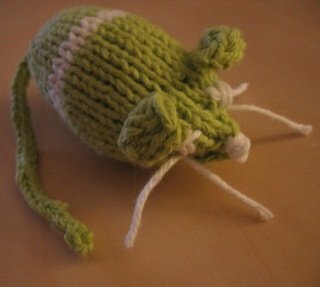 You can either buy a catnip toy like Petstages Catnip Chew Mice or make your own DIY catnip toy by stuffing a sock with some stuffing and catnip, 2 or 3 tablespoons should do the trick. Be sure to tie a tight knot at the end to make sure your cat can't get into the stuffing. Catnip can be used to stop cats from scratching on furniture to redirect their attention to more proper places, and help ease stress to ease stress related behavioral problems. To lure cats to scratch on their scratching post or cat tree instead of furniture, try rubbing catnip onto the posts or spraying a little catnip oil where you want to direct the cat's attention. Though it's more advisable to find the source of stress for your cat and eliminate it, you can have your cat consume a little bit of catnip to help him relax. It's inadvisable to allow the cat to eat too much, as it can compromise the immune system, but it may serve as a temporary solution until you can find the source of the stress. If you're interested in buying catnip for yourself or your cat, try planting your own with some Catnip Herb Seeds for a more natural product. Wanna Go For a Swim? The Crazy (and Fake) Animal Video of the Day!! !